Thinking about popping the question? Well you better start planning! Use our helpful checklist to help you plan your days leading up to the big day. Now is the time to start brain storming. What kind of proposal do you want to do? Do you want to do an extravagant proposal? A quiet, intimate one? Will her family be involved? Will there be third parties you need to contact/hire? Restaurants to rent? Now that you have a good idea of what you want your proposal to be, now is the time to start thinking about how much the proposal will cost. 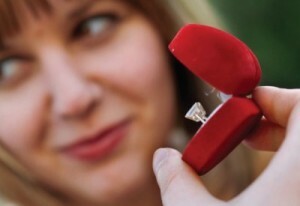 If you decided on a quiet, intimate proposal this step should be easy. If you decided to rent an airplane and fly it all over the city, then you have your work cut out for you. When budgeting for the proposal remember to start budgeting for the engagement ring as well. Traditionally, expect to pay as much as two months’ salary for the engagement ring. But if you decide to spend a little less, that’s OK. The rule isn’t set in stone. If you’re going to spend as much as two months’ salary for the engagement ring, you definitely don’t want to rush through this step. Research! Go online, pick up a copy of Engagement 101 Magazine and research everything you can about engagement rings. You’ll need to know all about the 4 C’s, metal types, stone shapes and more. The more knowledge you have on engagement rings, the more likely you are to make the right purchase. 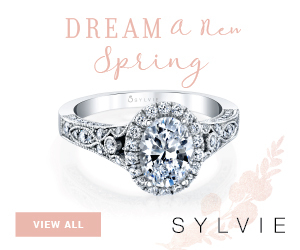 Now that you know all about the engagement ring, it’s time to start investigating and discovering what types of rings she likes. Anyone can buy an engagement ring, but what’s important is buying an engagement she likes. 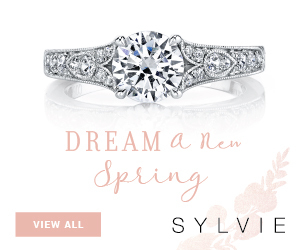 Read our tips on how to discover her ring style or take our quiz. Now’s also a good time to start heading to jewelry stores and comparing prices. You’ll want to reconfirm that reservation date at the restaurant around this time. If you’re planning a more elaborate proposal you might want to start on this a little earlier than four weeks. There’s nothing more unfortunate than having an entire proposal spoiled due to a canceled reservation. 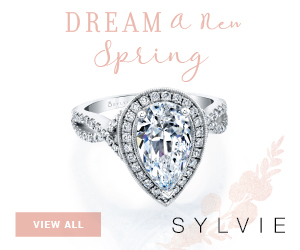 After shopping around for engagement rings you should probably have a good idea of the perfect ring to buy. So, if you have the money all saved up and ready, now’s the time to start buying! Make sure to ask the jeweler to re-size the ring if needed. Remember to ask for a certificate or appraisal. Oh, and in case she hates the ring, you might want to inquire about their exchange policy. Getting down to the wire! If you’re staging an elaborate proposal that involves friends and family, this might be a good time to start rehearsing. Also, remember to call and confirm any reservations you have made. Finally! We’re sure you’re a bumbling ball of nerves right now, but just remember to stay calm and not do something stupid like drop the engagement ring off a bridge or something. If she says yes, start planning an engagement party. Good luck! Does it really take four months to plan the proposal? I think one month should be set aside for looking and buying the engagement ring. Planning the proposal should only take a week or two weeks at best, I guess depending on what kind of proposal it is. If it’s some kind of big proposal that requires lots of money and plane tickets or something, then that’s the only proposal that would need four months of planning. Whether a marriage proposal is budget-friendly and intimate or a grand elaborate affair, taking a few months to brainstorm a marriage proposal idea is key so that you can gather volunteers, make items, or book the services you need to create her dream proposal. If you have a small budget for the proposal that doesn’t mean you can’t plan or are exempt from doing something special (and unfortunately I think that guys believe this is the case). Personalized notes, video or photos are an easy and affordable way to add some special and thoughtful elements. This proposal took a few months, we know because we helped him plan it; it involved small and detailed elements which paid off therefore it is TOTALLY worth planning your proposal at least 2 months ahead (or 4 like the article says) and not scrambling to put together some idea a week before. It’s worth putting in the effort or chances are you wouldn’t be proposing! Does it REALLY have to be elaborate enough to require a lot of “steps”? Guys are getting out of hand with this, honestly. I know they want to make it memorable, but, really, requiring a CHECKLIST? Just get down on one knee and DO it, for God’s sake! This reminds me of the Chevy commercial where the guy hired a plane to wave a banner, and he keeps trying to drive to places where his girlfriend might see it. I know it’s a commercial, but…what an IDIOT. It’s so damn hard to get a guy to propose now anyway that most women I know would be happy just for the get-down-on-one-knee routine. Proposals should be KISS: keep it simple, smarty. I have started planning a year in advance. Just to book the hotel in the village she used to holiday in when she was younger I had to book that early. 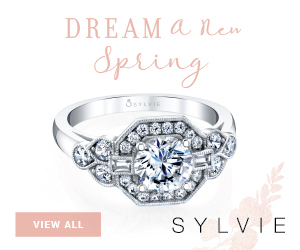 I have already started looking at rings too. I have 10 months until I actually propose!